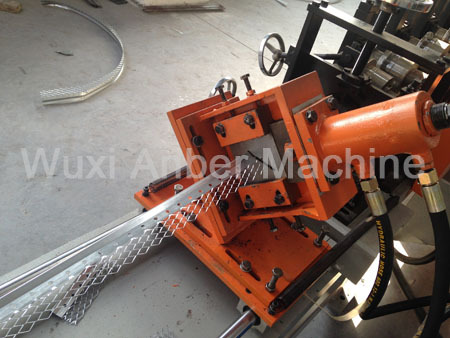 Plaster stop machine is the latest type of expanded metal mesh machines designed by our company recently. 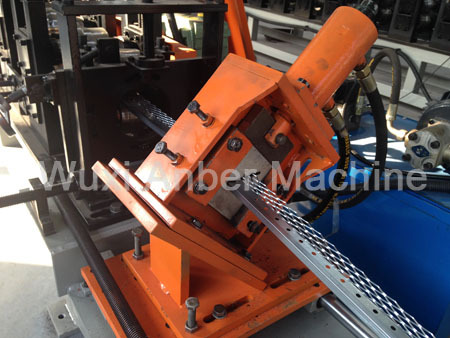 This machine features high yield, low noise, environment protection and easy operation. The required floor space of whole line is 36 square meters, and the whole line is usually 10 to 12 meters long. 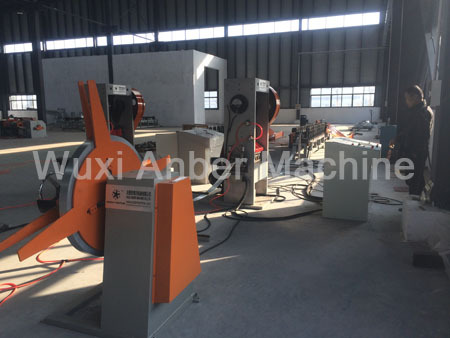 This production line is mainly composed of four parts: decoiler, expanded main machine, roller profiling machine, and receiving unit. The product could be used in all types of building construction starting from an individual dwelling to any kind of multistoried structure and for all types of cement plastering works. Provides clean and neat edges to two sides plaster work at openings, abutments onto other wall surfaces, abutments of wall surfaces on to door and window frame edges and ceiling finishes. 1. In between the wall surfaces and abutment of doors and window frames. 2. For making plastering groves. 3. In places wherever the Plaster ends. 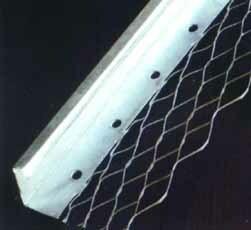 Plaster Stop Bead is a product made out of hot dip Galvanized iron of nominal thickness 0.35mm with zinc coating of 120gms/square meters. The product is available in standard lengths form but with varying depths as per the plastering depth requirements. Many advantages could be cited here for not using any products to stop these aberrations in the building. 1. Generally when the plastering is done on the wall surfaces adjoining the doors and window frames there is a tendency for the cracks to develop along the point of contact because of the nature of the two different types of materials. When the Plaster stop bead is used for the abutment of the two surfaces then a crack free Joint is obtained which enhances the aesthetic looks of the abutment. 2. There is already an existing method, which uses the simple masonry tools to create the plastering groves on the wall surfaces. But this particular method has a draw back in itself in lack of consistency of the openings, inconsistent and rough edges of the groves, failure of the groves to adhere to the same level etc. However, when the plaster stop beads are used all these problems are solved at one stretch, and it gives a generally good appearance when grove patterns are made on the wall surfaces. 3. Application saves considerable time, mortar and labor in creating groves. Reason being, as the practice stands thick mortar is used, and the groves are made by hand using regular masonry tools which consumes lot of labor and mortar, and wastage of mortar is minimized.